Did you know that 6 billion hours of video are watched every month on YouTube? Six. Billion. Hours. That is a lot of video watching and that’s just on YouTube. No wonder video is such a powerful marketing tool. It is clear that video is a very popular content type. Most websites today include some type of video. Product videos, how-to videos, recorded presentations, intro videos…all types of video are being used. The question is are those videos really driving business? 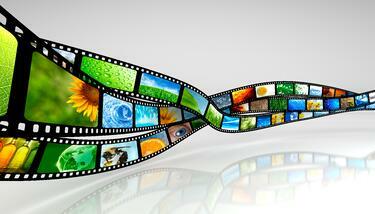 Are your videos generating leads? A few years ago, I was the marketing manager for a small business who designs and manufactures packaging equipment. Video, in that industry, is a very important selling tool. Instead of powerpoint presentations or brochures, sales reps use video almost exclusively. The company I was with was no exception. Soon after I started, I began to evaluate the video library. While the sales reps were using them in an active way, they really weren’t being used effectively from a marketing perspective. There were more than 300 videos available on the website but they were provided just as a list…a numbered list. The numbers had meaning internally but meant nothing to our website visitors. With a list that large, I (and I believe most of our website visitors) was overwhelmed. There was no easy way to find a video of a certain machine or product type unless you were an employee and had memorized the list. It didn’t take me long to realize that while the video library was a valuable marketing asset, we needed to change how we were presenting and using it on our website. We also needed to explore other ways to use it. Our videos were not generating leads and that is ultimately what we needed them to do. I started doing some research to help me figure out how to tackle this project. With a marketing staff of one and more than 300 videos, I had to prioritize. I started by organizing the videos into categories and then by buyer persona. The research I was doing gave me several ideas to help me put the video to better lead generating use. As a side note, the company I was with was also going through a website redesign. The decision to move to a marketing automation platform made using our video as a lead-generating tool on our website much easier. As we designed the new site, it was clear that we needed something that would allow us to know who was interacting with our content…including video. We had more video than any other type of content. Instead of only including the video on the site as a numbered list under resources, we decided to highlight those that were most relevant to our buyer personas. We included video on our homepage and product information pages. The more complex, detailed machine videos were gated. We treated the videos as premium content and required viewers to complete a form to access it. Since joining Imagine, I was introduced to Wistia. According to their site, "Wistia provides professional video hosting with amazing viewer analytics, HD video delivery, and marketing tools to help understand your visitors." Imagine uses Wistia. We are able to gate our videos and embed forms to capture lead information. We can track who is watching what, how much they are watching and whether or not they have re-watched something. Since Wistia can be integrated with HubSpot, all of the information entered by prospects is passed on to our CRM. I don’t know why I hadn’t thought of it myself. It seems pretty obvious now. Every video we had provided great content for our blog. Once they were organized by buyer persona, it was easy to write 500 words or so about the video, include a link to the actual video and complete a post. According to Forrester, when marketers include a video in an email, the click-through rate increases by 200% – 300%. With more than 300 videos to share, adding them to email marketing campaigns was a no brainer. As our email marketing program developed, we saw our click-through rates, double and then triple with the use of video. According to Unbounce, using video on landing pages can increase conversion by 80%. Part of our video library included an introductory video that we used at trade shows. As we worked through the redesign of the site, we planned to get more use from that video by using it on landing pages for top of the funnel content pieces. One of things our video library was missing was customer testimonial videos. While we had hours of video showing our machines in action, we had nothing that really told the story from a customer’s perspective. As we all know, the way B2B prospects shop has changed. Prospects are able to conduct research and make decisions without interacting with a live person. It was obvious that we needed to add testimonials to the library. Studies show that 64% of consumers are more likely to buy a product after watching a video about it. A MarketingProfs study stated that 70% of marketing professionals report that video converts better than any other medium. If you haven’t incorporated video into your lead generation strategy, now’s the time to get started.